Police and Crime Commissioners look set to become a reality, despite the limited interest in the elections, and the poor job done by the Home Office in informing the public about the changes. But do they risk politicising the every day operations of the police? Andrew Blick looks at the potential implications. Recently I blogged on this site on the subject of elected police commissioners, being introduced by the Police Reform and Social Responsibility Bill, which is now passing through its final parliamentary stages before receiving Royal Assent. I noted the concerns raised by the House of Lords Constitution Committee that there was a risk of ‘politicising operational decision-making’ by the police and that the principle of ‘accountability…to the law, and not to government’ might be undermined. Revelations associated with the phone-hacking scandal make the arguments for reconsideration of this policy even more powerful. The shocking nature of this affair is such that, though familiar, repeated analysis of it is merited. For this reason I reproduce some choice quotes from the the House of Commons Home Affairs Committee report, ‘Unauthorised tapping into or hacking of mobile communications’, published late last month. Unsurprisingly and deservedly, neither News International nor the Metropolitan Police emerged well from this inquiry. We deplore the response of News International to the original investigation into hacking. It is almost impossible to escape the conclusion…that they were deliberately trying to thwart a criminal investigation. We are astounded at the length of time it has taken for News International to cooperate with the police but we are appalled that this is advanced as a reason for failing to mount a robust investigation. The failure of lawbreakers to cooperate with the police is a common state of affairs. Indeed, it might be argued that a failure to cooperate might offer good reason to intensify the investigations rather than being a reason for abandoning them. None of the evidence given to us suggests that these problems were escalated for consideration by the Commissioner of the Metropolitan Police or by Ministers. The difficulties were offered to us as justifying a failure to investigate further and we saw nothing that suggested there was a real will to tackle and overcome those obstacles. We are seriously concerned about the allegations of payments being made to the police by the media, whether in cash, kind or the promise of future jobs. It is imperative that these are investigated as swiftly and thoroughly as possible, not only because this is the way that possible corruption should always be treated but also because of the suspicion that such payments may have had an impact on the way the Metropolitan police may have approached the whole issue of hacking. The sooner it is established whether or not undue influence was brought to bear upon police investigations between December 2005 and January 2011, the better. We are concerned about the level of social interaction which took place between senior Metropolitan Police Officers and executives at News International while investigations were or should have been being undertaken into the allegations of phone hacking carried out on behalf of the News of the world. Whilst we fully accept the necessity of interaction between officers and reporters, regardless of any ongoing police investigations senior officers ought to be mindful of how their behaviour will appear if placed under scrutiny. Recent events have damaged the reputation of the Metropolitan Police and led to the resignation of two senior police officers at a time when the security of London is paramount. In addition to the News International and the police force, there is a third party involved in this scandal, not addressed directly by the Home Affairs Committee inquiry, but who will have to be scrutinised in investigations to come: that of politicians. Their eagerness to comply with influential media interests has helped make this affair possible. Which brings me back to elected police commissioners. By placing directly elected politicians in a new relationship with the police, will the Police Reform and Social Responsibility Bill create new opportunities for sections of the press to develop further the unhealthy relationships on which some of them have thrived? Could media groups, through providing favours for particular candidates in elections for commissioners, achieve an even higher degree of involvement in police activity than they have to date? How precisely these relationships might play out is hard to predict – which is exactly why it might be advisable for a period of consideration before proceeding with this change. Parliament has recently shown that it can engage meaningfully with issues of critical current concern. It would be a shame if it now passed legislation which might help undo some of the progress that has been made in unpicking the unhealthy relationship between media, politicians and the police. 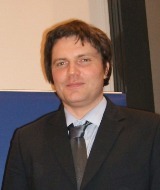 Dr Andrew Blick is Lecturer in Politics and Contemporary History at Kings College London. He was formerly Senior Research Fellow in the Centre for Political and Constitutional Studies in ICBH, and Senior Research Fellow at the Democratic Audit, University of Liverpool. He has worked in Parliament and closely with parliamentarians on various occasions. During 1999 he was an administrative assistant at No.10 Downing Street. He has a PhD on the history of special advisers in British government.